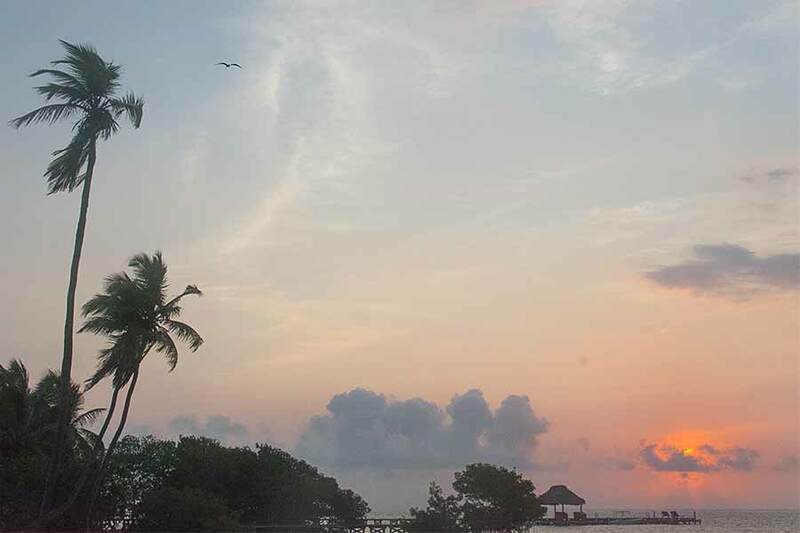 Belize NMS: Mainly fair and warm conditions will continue today, then an increase in moisture and instability is expected tomorrow. 24-hour forecast: Sunny skies with a few cloudy spells today and partly cloudy skies tonight. Showers or thunderstorms will be isolated. General Outlook: Some cloudy spells with a few showers and thunderstorms mostly over northern and inland areas during Thursday then over most areas Thursday night. Today E-SE 10-20 kts Choppy-Moderate 3-6 ft ISOLATED SHOWERS OR THUNDERSTORMS. Tonight SE 10-20 kts Moderate 4-6 ft A FEW SHOWERS OR THUNDERSTORMS LATE. Tomorrow E-SE 10-20 kts Moderate-Rough 4-7 ft A FEW SHOWERS AND THUNDERSTORMS NORTH. Outlook E-SE 15-25 kts Rough 5-7 ft A FEW SHOWERS AND THUNDERSTORMS. Scattered moderate convection is just south of Cuba between 82W- 85W. 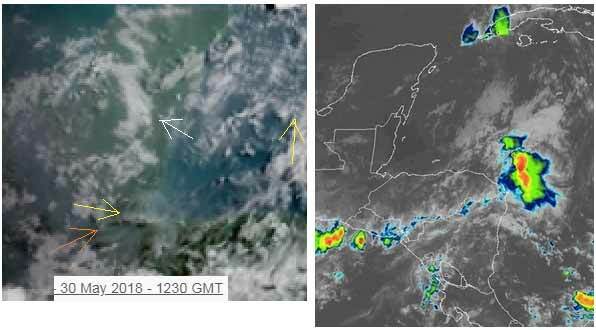 Elsewhere, isolated moderate convection is over Central America from Nicaragua to Panama. 5-15 kt southerly winds are over the W Caribbean, and 15-20 kt trade winds are over the central and E Caribbean E of 80W. Strong subsidence associated with an upper level trough is evident from water vapor imagery in the eastern Caribbean E of 73W. High pressure in the central Atlantic will maintain fresh to strong trade winds over the S central Caribbean with moderate to fresh trades elsewhere. Fresh E to SE winds are possible over the Gulf of Honduras by late Thu between the high pressure and troughing west of the area. On Ambergris Caye this morning the sea is calm and sky clear. We have a breeze from the East-SE at 9 mph. The expected high temperature for today is 92 f.
Well today is starting of rather confused. 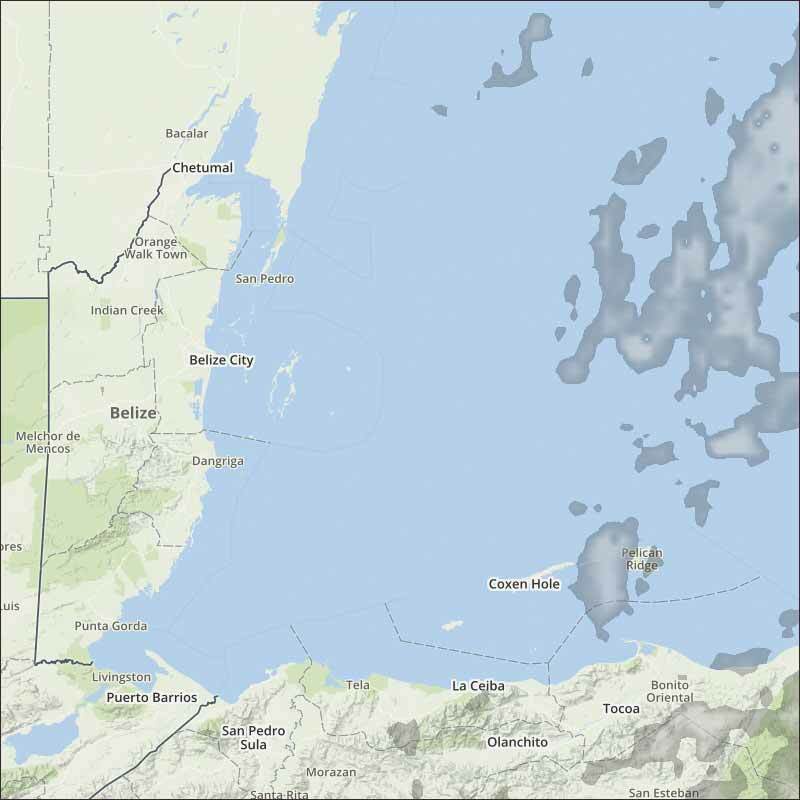 There is sort of Caribbean winds with a few odd patches of clouds trying to come in from the ESE over north Belize. There is mid level west wind coming in from Guatamala over southern Belize and the appears to be south winds mid level winds coming off Honduras, going up towards Cuba. And I think high level winds still from the SW There is also, what I suspect, some fog or low lying stationary cloud in a few parts of central Belize. There is a lot of haze or smoke dust in the air all over. Looks as it it will be another hot sunny day, with white clouds developing this morning, some could turn to rain this afternoon.